Disclosure: I received a complimentary 3-pack of Rootflage Temporary Root Touch-Up to facilitate this review, but as always, opinions expressed are all my own and are not influenced by complimentary products and/or payment. As you have probably noticed, I have been on a bit of a hiatus due to ongoing, debilitating health issues. I am still struggling with some symptoms but my endometriosis pain is now under control thanks to my latest surgery. So what better way to celebrate than a review of a fabulous product AND a giveaway to one lucky reader! I truly want to thank those of my readers who haven't given up on me and still visit whenever I post! And much to my surprise, it seems none of you have left me because the moment I post, my stats show that you all come to read right away! That truly means the world to me so I hope this fun review and giveaway will show you how thankful I am for each and every one of you! I wanted my first re-launch giveaway to be a good one, and one that exemplifies my celebrating my new lease on life! So, without further ado, meet the new and improved Rootflage! 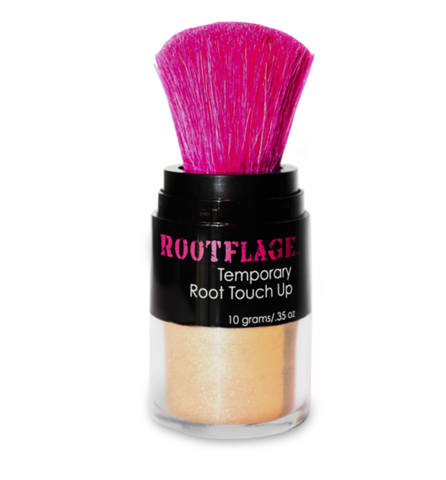 Rootflage started out as a temporary root touch-up powder for blondes only when I last reviewed the product back in 2013. My, oh my, wait until you see what has changed since then, guys!!! Notice anything special about the last 8? 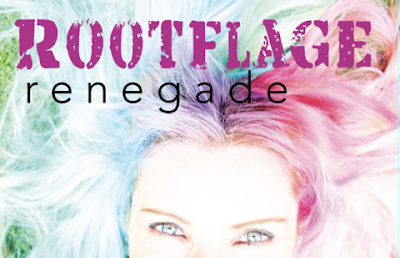 Yes, Rootflage now offers us a fun, temporary way to liven up our hair and take a walk on the wild side with their Rootflage Renegade line! Bright, playful colors like pink Cotton Candy to Dragon Green to Peacock Blue and my favorite (because of the color AND the name which pays homage to the late epic rock star Prince), Purple Reign, all scream my name every time I look at them! I think these colors may be the perfect way for me to dress up for my favorite hobby....concert going! 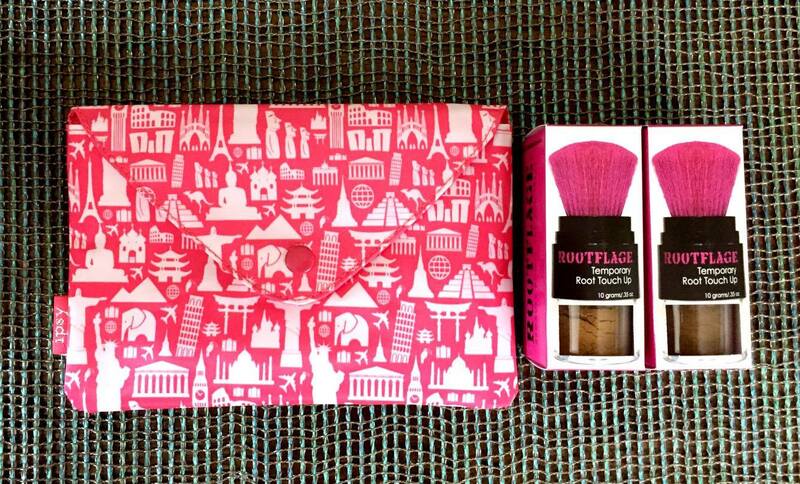 Rootflage is so quick and easy to apply, perfect for habitually late people such as myself. It's also temporary and washes out with each shampoo so you can go back to your non-wild, non-Ethereal Blue self when you need to with just one wash! 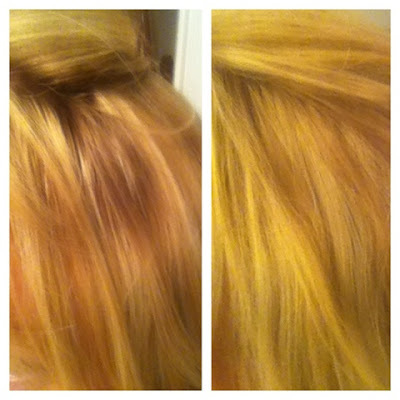 Click any of the 21 colors to see before and after pics that really showcase how well Rootflage works at hiding roots or livening up your color! The mineral-based powder contains no harsh chemicals (see ingredients here). Rootflage doubles as a dry shampoo, adds body, gives volume to thinning hair, and saves you money by covering roots in between hair colorings so you can wait longer to hit the salon. Best of all, you can try it risk-free! Not happy with the color you chose? Just contact Rootflage and they will help you find a different one! Not happy with the product overall? Just contact Rootflage for a full refund! I don't see that happening judging from how much I love it, but Rootflage is confident enough in their product to put a no-risk guarantee behind it! If you're not sure what color to start with, you can order a sample size to start, and/or let Rootflage color-match you personally! How's that for customer service?! Even the packaging has improved! I'm loving the new pink brushes! And just how did this Rootflage craze all start? You can toss all the "dumb blonde" jokes out the window after you hear how Lucy Williamson O'Quinn, a beautiful, blonde, Southern California native, started with a very not-dumb idea and turned it into an amazingly successful company in just three years that meets the needs of those with any hair color and has the beauty blogger community buzzing! Creator Lucy Williamson O'Quinn went to the beauty supply store in 2012 and left in awe when she found there was no product that worked well for blondes to cover their roots between salon appointments. As a lightbulb appeared over her head, she realized something must be done, and she was just the girl to do it. The mission of Rootflage is to help women quickly, easily and affordably extend the life of their hair color between salon appointments. 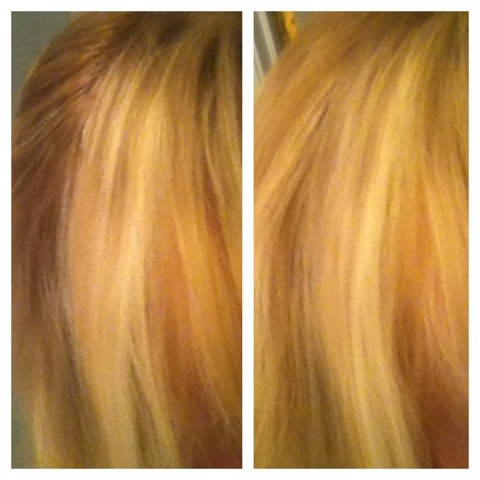 Rootflage got it’s start with offering blonde root touch up colors. Lucy later added more colors to her line so her brunette and red head friends can save time and money too! I promise it's not complicated! You really can just apply, blend and go! My top usage tip? Be sure to pull up the black, inner sleeve when putting your Rootflage away. This will protect the pink bristles and keep them from bending/kinking. I learned this the hard way, so make sure you don't skip this step to keep your Rootflage looking as cool as it did on day 1! Check out more photos and info on Rootflage's Facebook page. Want to try it for yourself? 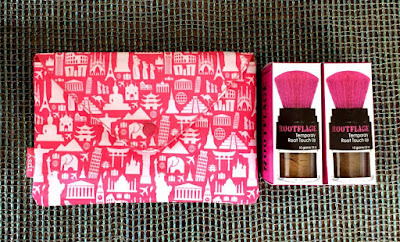 One lucky reader of TheBlondeBlogger.com will receive this 2-pack of Rootflage in the color of their choice, along with the "so cute I can't even" ipsy makeup bag. The winner will also receive a personalized color match session with Rootflage to help select their optimum color...approximately a $60 value! I also have an exclusive coupon code just for The Blonde Blogger readers! Simply enter "Blondeblogger" at checkout to receive 20% off your total Rootflage purchase (offer expires August 31, 2016)! There's also, at the time of writing this post, a deal for 2 bottles at $39.99! Add your 20% discount and that's a lot of Rootflage for a steal! To enter the giveaway, follow the instructions on the Rafflecopter widget below. There are several methods for entry as stated on the Rafflecopter widget, such as commenting on this post. Entry deadline is 12:00 am on Friday, May 27, 2016. Sorry, but the contest is open to U.S. and Canadian residents only. By entering, you automatically agree to all the rules and disclaimers listed here. Please also see my disclosure policy here.